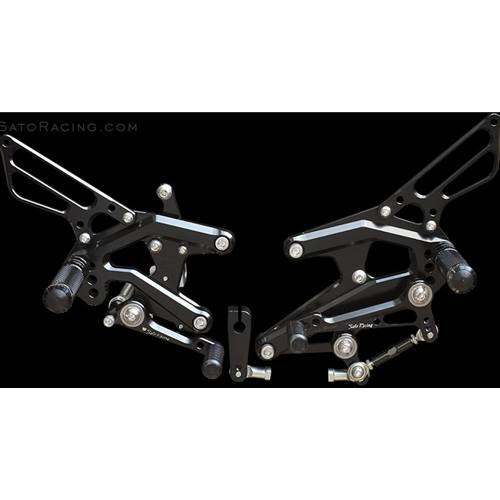 Sato Racing Rear Sets for H2 2015-2018 feature a tough, single-plate design. Anodized billet aluminum in Black or Gold. 5 adjustable positions to set up your riding style higher up and further back than stock. Choose stock shift pattern for this set. Get the Reverse Shift Rear Sets if you want the GP-style shift pattern.